If you're ready to take your organic tomato growing to Tomato Whisperer Guru Ninja Level, check out these tips. There are thousands of tomato varieties, even though you may only find a handful at your local garden center. Experimenting with new varieties may introduce you to The Perfect Tomato for YOU (plus it helps keep unusual cultivars in existence). There are Determinate and Indeterminate types; heirlooms, open-pollinated and hybrids; and colors from white to deep blue, with reds, pinks, greens, purples and oranges in abundance. You can get tomatoes with fuzz like a peach (Garden Peach tomatoes), stripes, bumps and knobs. Don't be limited by the idea of a red, round tomato! Paste Tomatoes: These have thick, meaty walls, and smaller seed cavities. Great for salsa, sauce making and dehydrating. 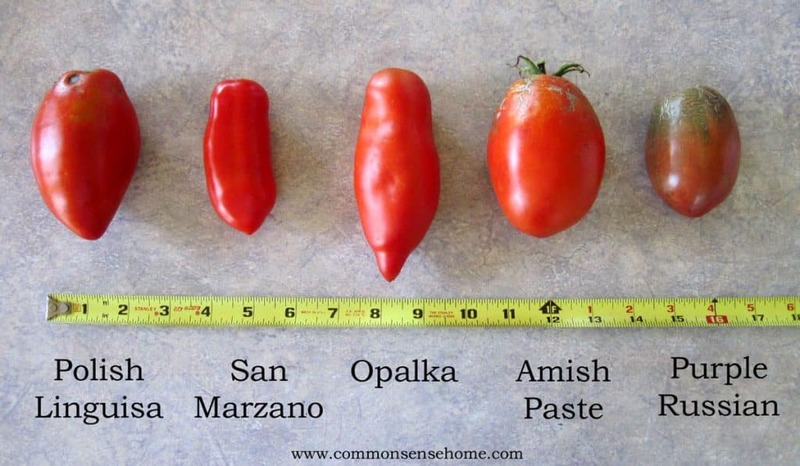 My personal favorite are Amish Paste, Opalka, and San Marzano Gigante. I do grow at least one Purple Russian as emergency backup for unusually cold weather. Slicing tomatoes: Medium to large fruited tomatoes with plenty of juice. These are most common in grocery stores along with cherry tomatoes. Great for fresh eating. Can be used for salsa and canning, but will require draining or more cooking down to yield a thicker product. Some of my favorites are Mortgage Lifter (mid-season, large fruit), Garden Peach (long season, medium fruit), Stupice (early, medium fruit), Glacier (early, medium fruit), Defiant hybrid (late blight resistant, medium-large fruit). Some of my favorite multi-colored slicing tomatoes are shown below. Cherry tomatoes: Small fruited, generally less than 1 inch in diameter. Plants often make up in volume what they lack in size. If you enjoy tomatoes for fresh eating, especially if you have kids, cherry tomatoes are a must. My favorites are Sungold (golden), Black Cherry (purple), Peacevine (red), Pearly Pink and Yellow Pear. If you get overrun you can use them for sauce making, but they have a higher water content. Sungold and Black Cherry tomatoes, some of my personal favorites. These are so sweet they taste like candy. Tomatoes are heat lovers. Block the wind. Use a wall-o-water to trap heat, or create you own heat trapping wall with old milk jugs or vinegar bottled filled with water. Lay down black or red mulch. 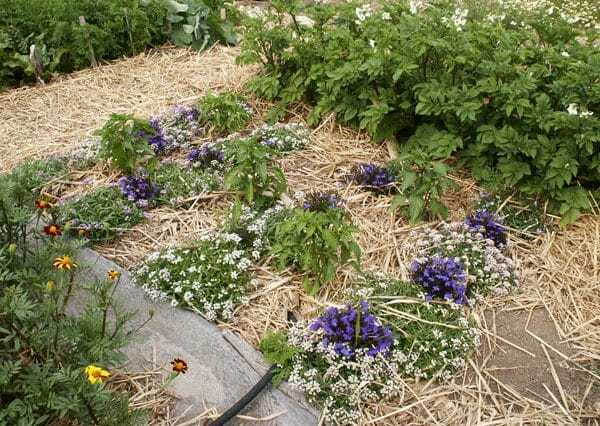 Learn more about micro-climates in the post “Extend Your Gardening Season“. I prefer to plant in families, as suggested in the book Great Garden Companions by Sally jean Cunningham. My “tomato family” beds include tomatoes, peppers, eggplant, tomatillos, ground cherries, and Cape Gooseberries. Basically, all the nightshades except potatoes are included. I also like to mix in lobelia and sweet asylum, and sometimes painted tongue. I plant my companions at the end of rows of tomatoes, because planting them right next to the tomatoes makes harvest awkward. With peppers and eggplant, I alternate companions between the plants. Experiment! See what works best in your garden! I don't know how many texts I've read that say pinch all your tomato suckers (new stems that begin in the crooks of other stems) because they don't produce fruit. I've pinched, and I've skipped pinching, and I saw no big changes in production, just more time and hassle. I would also note that my tomato suckers certainly do fruit fruit. I'm not the only one who has given up pinching suckers. Now I only prune to manage growth and train the plants. The Natural Food Garden swears that mixing in some bone meal or rock phosphate in your planting hole along with your aged manure or compost will boost fruit production. They also recommend providing an extra bit of “oomph” about halfway through the growing cycle by top dressing the plants with several inches of well aged manure. Foliar feeding every few weeks throughout the season helps to gently meet the needs of growing tomato plants. Try fish emulsion, compost tea, worm casting tea or weed tea. As an added benefit, compost tea has been shown to protect plants by coating the leaves with beneficial organisms that crowd out pathogens, just like consuming probiotic foods and beverages can help keep us healthy. For more information on compost tea, you can check out The Field Guide II for Actively Aerated Compost Tea by Elaine Ingham, one of the leading experts on the subject, or Compost Tea Making: For Organic Healthier Vegetables, Flowers, Orchards, Vineyards, Lawns, a more basic manual. A Brix meter can be helpful for evaluating the progress of your fertilization techniques. The Planet Whizbang Idea Book for Gardeners instructs you on how to harvest your own biochar from wood stove charcoal. From Wikipedia, “Biochar can improve water quality, reduce soil emissions of greenhouse gases, reduce nutrient leaching, reduce soil acidity, and reduce irrigation and fertilizer requirements. Biochar was also found under certain circumstances to induce plant systemic responses to foliar fungal diseases and to improve plant responses to diseases caused by soilborne pathogens.” Biochar is becoming a hot topic worldwide, as evidenced by the International Biochar Initiative. Effective Microorganisms take the plant probiotic concept all the way to eleven. In Building Soils Naturally, the author sites a study where yields were increased by 50% just using Effective Microorganisms. I have not yet given these a whirl, but they are on my to-do list to try this season. They are also referred to as “microbial innoculants“. Working with Nature – Shifting Paradigms stretches the boundaries of gardening even further with the use of music and energy to improve plant health and fruit production. The Secret Life of Plants: a Fascinating Account of the Physical, Emotional, and Spiritual Relations Between Plants and Man also explores rarely traveled plant territory. Pipe in some classical music while you're working in the garden (before 10 am is best for the music), and if you're inclined to talk to your plants, keep your words positive. The book mentioned in the video is Anatomy of Life & Energy in Agriculture by Ph.D. Arden B. Andersen. That book is no longer published and has become hard to find, but I believe Working with Nature – Shifting Paradigms covers similar content and is applicable for the organic gardener. 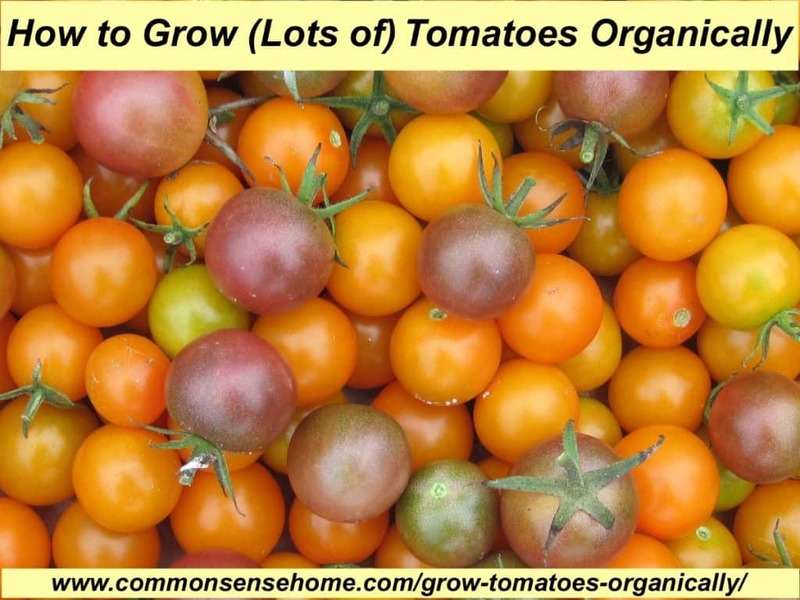 I hope you found this article useful, and will Share, Pin, Stumble, Google+ and otherwise spread it to the masses to fire a revolution of phenomenal tomato growing for everyone. Comments and questions are always welcome. Don't forget to take a peek at our other Gardening articles. Originally published March 2014, updated April 2016. Awesome. Congratulations on a well written enthusiastic piece of inspiring guide to follow your bliss. Just want to “ditto” Andrea’s comment. Excellent. Nope, not usually! Mostly because I grow so many plants I can’t keep up, and because, in spite what most gardening texts say, suckers sure do produce fruit. As far as suckers are concerned, they are an easy way to get more plants! Let the sucker grow until it is the size of a #2 pencil. Cut it off at the base and immediately put it into a contain with potting mix in it. The mix can have a little organic fertilizer in it as well. Water the plant in and put it in a bright area but NOT in direct sunlight. The sucker will root within 12+ days and you will have an exact clone of the mother plant. 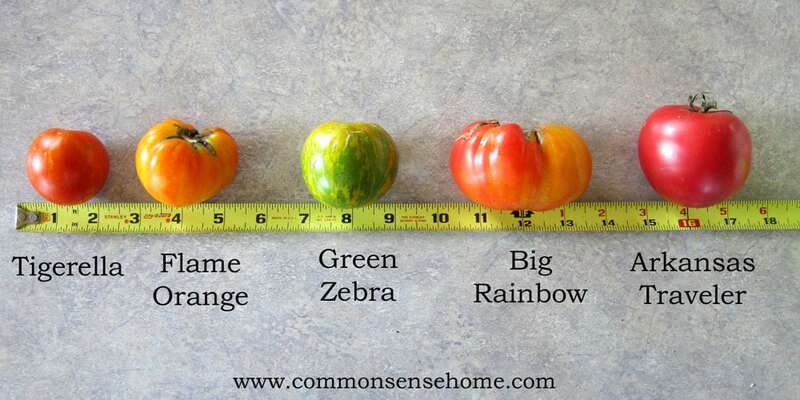 It depends on whether your tomato variety is “determinate” (sets and ripens fruit nearly all at once) or “indeterminate” (sets some fruit early and continues on through the rest of the season). If you live in a short-season climate, you definitely want to pinch suckers on at least the determinate plants, but probably both, unless you really enjoy green tomato pie (we do). I grow almost all indeterminate plants, live in a cool climate and prefer not to pinch. Yes, they don’t all ripen before frost, but I have an abundance of tomatoes. It’s a matter of personal choice. You talked about planting tomato in a garden. So what of if you want to make a large type of tomato farming, will the person also make use of thesame methods that has just been listed here..? Many of the techniques will be similar, but large scale growers have different methods of managing their crops. Often determinate tomatoes are chosen because they may not require trellising and can be harvested all at once. If trellises are used, pruning and training is often used to keep rows neat and easier to harvest. Second row from the left. I have to know! I see beans, eggplants, and what is in the two containers on the bottom? Thanks for the Post! 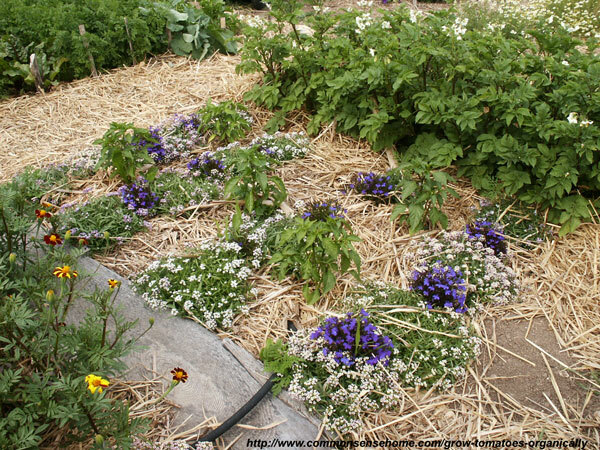 Foreground of photo, left to right, Jolly Jester marigolds (gold and red flowers), sweet alyssum (low pale flowers), crystal palace lobelia (blue), peppers, potatoes (top right). Top left corner of photo is a bed of mixed root vegetables. Thanks for sharing! Hoping I can “help” my green thumb and get a tomato garden in this year! This is so, so helpful! I’ve really been struggling with my tomatoes this year. Great advice, thank you! Wow! I have never been successful in tomatoes but obviously you are a pro! Look at that harvest. Thanks for the great tips! I never knew you don’t have to use cages! I hate them too so I’ll have to try building trellis this year. Thx! You’re more than welcome. My mom used cages, and they were always so awkward to work with. Maybe I just missed it….but how to you deal with great horned worms and other pests?? Nope, you didn’t miss it, the post was getting pretty long, so I didn’t get into pest and disease management. The thing is, when my garden plants are healthy, I have minimal problems with pests and disease. If you want the video at all, you’ll see these monster, robust plants. Mine don’t look quite that good, but I have noticed that problems that would have decimated my old garden (where the soil was not as good) barely make an impact here, for the most part. Tomato horn worms are edible, and considered a delicacy in some areas. (I have not eaten them and do find them a little creepy, but you could eat them.) Poultry love them, too. Typically in a small organic garden they are hand picked, or plants are dusted with Bt (Bacillus thuringensis). Was there another specific pest that’s causing trouble in your area? What ever you do keep the maximum leaves on your plant. This may require a fungicide and some copper. Reasons? Do you start from seed? If so, do you a start indoors and transplant? Thanks. What is happening if the tomato leaves are curling? Is it a lack of fertilizer, water or a certain nutrient? Feel the soil. If it is dry, water. Texas A&M has a photographic listing of tomato leaf diseases that may be of help here. I’m wondering how close you space your plants? In one of your photos they look quite wide apart, but the photo with the string climbing frame they look much closer. I’ve read varying advice which says to plant anywhere from 1 to 3 feet apart! Which is quite a difference. I try to keep them at least 3 feet apart, although sometimes they sneak a little closer because I’m trying to squeeze more in. As the season goes on, they easily fill in the whole area. I was curious if you have heard and experimented with permaculture and if so what are your thoughts on it? One of the most intriguing things about permaculture is the sheer diversity of potential crops, which is something that I find very appealing. Also, to paraphrase Mark Sheppard from Restoration Agriculture, “We need to stop trying to grow things that don’t want to grow, and stop killing things that do want to grow.” I firmly believe that megacrop monocropping is not sustainable or healthy, for us or the planet. I’m really looking forward to learning more and doing more with implementing permaculture on our land. 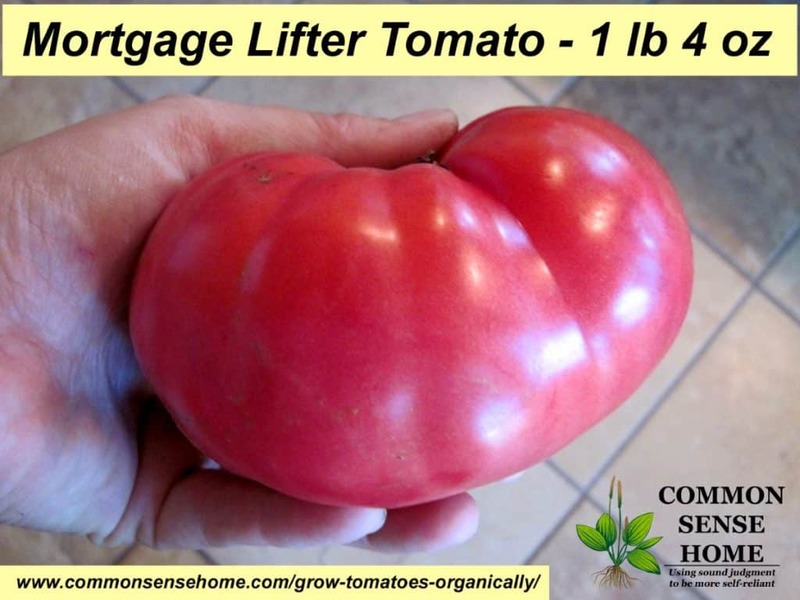 Laurie you have an excellent blog and a super resource for growing great tomatoes! Thanks so much for contributing an excellent tomato-growing tip to my blog…you are a value member of our 40 Experts panel. Hi Dave! Always nice to hang out with you and the rest of the “crew”. How do I access the 2nd article for non beginner growers? The link is in the text at the bottom of the first page. I just edited it to make it clearer. Great blog here. But nothing about how to combat the ‘bads’ of tomatoes. I did everything you said. I have 20 big plants. They are full of tomatoes and of many flowers. I have not sprayed them with anything. Just water them. The tomatoes turn read but they don’t get soft, and they start to go bad from the middle. I have some green round bugs and other little black ones collonising them. 🙂 I don’t know if they can be the cause, or maybe only just one of the cause. Everybody has told me to spray them with a lot of chemical things, but I did not want to. I don’t know if I can save these ones, but what should I use next year? If I tried to cover everything in one post, I’d have to write a book. It’s nearly impossible for me to troubleshoot without having more information and being able to see what you’re talking about. I absolutely love tomatoes, but have never attempted to grow them. The photos in this post make me want to change that today and get a project started. I’ll have to start with the beginner section in terms of growing tomatoes and the very first point is an interesting one. The use of egg shells for calcium. Will this be required for growing in pots? There is nothing like tomatoes of varying colours instead of the uniform red that we buy in the shops. Makes a salad very interesting and more appealing. I might struggle with the frost in the UK as it can get very cold. Hopefully the deep planting will be enough. Love the tomato trellis by the way. That looks awesome and very satisfying to accomplish. Will be sure to post back on how this goes for me. Really helpful! I was struggling through a long period. Thanks for the advice. Am challenged abit when it comes the relation of eggshell and growing of tomatoes ,it is agood i dear thanks alot for your teachings. The tomato plants just grow very tall with alot of flowers but no fruits. What could be the problem? Sally, there are several potential issues. We have a post in progress that should be up later this week. I’ve been asked this a few times recently, so I figured a post was merited. I’ll add a link here, and I can email you, too, if you’d like. It’ll also go out in this week’s newsletter on Saturday.